The Malaysian Prime Minister Datuk Seri Najib Razak is set to unveil the 2016 Budget on 23 October 2015 with the focus on strengthening growth, expanding inclusiveness and ensuring fiscal sustainability. 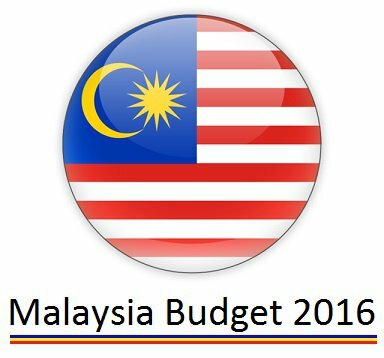 Budget 2016 will be a very important budget for Malaysia due to the drop in demand from emerging markets, weakening ringgit, falling crude oil and commodity prices and it is the first budget under the 11th Malaysia Plan. Datuk Seri Najib Razak had invited people to give their suggestions by submitting them to his website najibrazak.com/bajet2016/ before 15 September 2015. Basically, cost of living, urban housing and livelihood, besides education topped the list of Malaysians' concerns. In this current situation, people are waiting for the government to take certain steps for the coming year and do hope that the Prime Minister Datuk Seri Najib Razak will listen to the voice and aspirations of all our Malaysian people, the rakyat, for a better Malaysia for all. Sugar tax in Malaysia: Sweet idea or bitter pill?